French tennis player who won the 2013 and 2014 Australian Open mixed doubles titles alongside Canadian Daniel Nestor. She began playing tennis in the Junior leagues in 2006, and was crowned the European Under 14 Singles Champion one year later. She received a wild card at the 2009 Australian Open, but lost to the 14th seeded player, Patty Schnyder. She was born in Saint-Pol-sur-Mer, France. 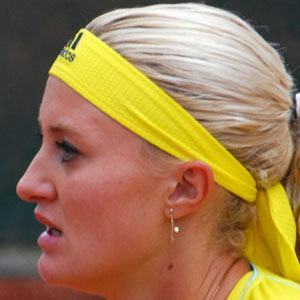 She defeated Italian Francesca Schiavone at the 2011 Hopman Cup.